I have been using Meridian Therapy for 33 years, since my apprenticeship with Dr. Ineon Moon, a Korean acupuncturist in Chicago. Dr. Moon deeply believed that Meridian Therapy could treat all problems. His favorite refrain was, “I taught you. Balance the channels!” My exposure to Meridian Therapy preceded any training in TCM (Traditional Chinese Medicine) acupuncture. Dr. Moon’s Diagnostic Technique. Dr. Moon’s method of diagnosis used traditional meridian pulses combined with muscle testing, which he learned from Applied Kinesiology chiropractors. He would muscle-test the arm or the leg of the patient while they were prone, and before and after needle insertion. I found this method awkward, and I adapted Omura’s O-ring testing, using my own fingers to muscle-test. With muscle testing, I could determine if a point was normal, deficient or excess. I mention this because it helps choose points once meridian diagnosis is achieved. The bigger question is how to choose meridians for treatment, that is, how to accurately diagnose meridian imbalances, and how to prioritize the order of treatment. Dr. Moon’s method was relatively simple: he looked for excesses and deficiencies in the pulse positions, and then used muscle testing at points on those meridians to place his needles. Once he determined relative excesses and deficiencies, he used various techniques to prioritize, including five-phase, 24-hour cycle, or meridian sequencing (“Energy Cycle” on the Acugraph). This approach works well if you are adept at pulse taking and/or muscle testing. I want to go on to talk about using the Acugraph to provide accurate diagnosis for Meridian Therapy, but before I do this, I would like to talk about the differences between TCM acupuncture and Japanese style acupuncture. After all, in the last 100 years or so, Meridian Therapy has been most advocated and practiced by Japanese practitioners. TCM Acupuncture. After my first eight years in practice, I went to China to further study Chinese herbal medicine, and while there, I deepened my exposure to Chinese acupuncture. There is no doubt that TCM acupuncture is effective, either by infusing local areas with qi for localized trauma, or by using 3-point combinations (local, distal, remote) to direct and focus qi to problem areas according to zang-fu/eight category differentiation. TCM acupuncture as a style or system corresponds closely to Chinese herbal medicine. In herbal medicine, problems are focused on zang-fu/eight category imbalances, that is, internal problems affecting internal energetic-physiological organs. Each organ is known to behave in a certain way, and each organ has specific ways of not behaving well; these are familiar to us as the zang-fu differentiations. 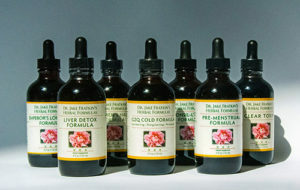 Detailed differentiation is necessary in order to choose herbs or herbal formulas correctly. When a patient has a complaint, a name of a disease is given (for example, Insomnia), and then the various zang-fu differentiations are listed. A single differentiation is chosen based on clinical history, symptoms tongue and pulse, and herbs or herbal formulas are assigned addressing the differentiation. For example, Insomnia might be differentiated as a deficiency of heart yin with exuberance of heart fire. Herbs or herbal formulas are chosen that nourish heart yin and reduce heart fire. Channels problems, whether due to trauma or exogenous/endogenous factors (wind, cold, heat, blood), are also treated according to zang-fu/eight category differentiations, without much attention given to relative excesses or deficiencies of the various channels. TCM acupuncture follows the herbal model, with point combinations assigned for the various differentiations. In the case of insomnia due to deficiency of heart yin with exuberance of heart fire, the point combination would be HT 7, SP 6, KI 3 and extra An Mian point. Or a 3-point local-distal-remote combination would be recommend, such as PC 6, CV 17, and KI 3. The TCM model is remarkably successful when using herbs as the mediation, relying on a long history of classical texts, formulas and an abundance of medicinal herbs (5000, of which 500 are in common use). I would have to say, however, that as a stand-alone therapy, TCM acupuncture is less successful. TCM acupuncture is a recent construct. In the first decade of the People’s Republic of China (1950s), TCM universities and teaching hospitals were created, meant to be the equal of Western medicine schools and hospitals. The herbalists were firmly in control, and promoted a style of acupuncture that corresponded with the TCM herbal approach, making for a unified curriculum. Other acupuncture styles, including Nan Jing Meridian Therapy, disappeared, but were able to survive in Japan, Korea, Taiwan, Hong Kong and Singapore. Problems with TCM Acupuncture. Following my return from China, I realized that TCM acupuncture posed several difficulties. First, it was very painful for the patient. Needling was deep, with rotations that would grab fibers and cause pain with twisting. Appreciated as de qi (“the arrival of qi”), it works by injuring local tissue enough to attract healing qi. Second, TCM acupuncture is effective in China in no small part because patients come to the clinic three times a week. North American patients can hardly afford to come this often, and once weekly is not as effective. Thirdly, for internal disorders, it is rare that patients arrive with one complaint (eg, “epigastric pain”) that an all-inclusive single zang-fu differentiation would address. Instead, the patient comes in with epigastric pain, plus . . . insomnia, constipation, neck pain, headache, menstrual irregularity, etc, etc. North American patients come in with multiple complaints, often involving fatigue and various pains spread around the body. Do we chase multiple complaints in an isolated fashion, or do we look for a unified approach that deals with a myriad of symptoms? Turning to Japanese-style Meridian Therapy. Realizing that TCM acupuncture was too painful and too simplistic for the typical patient, I decided to return to my roots in Meridian Therapy. I began by studying with Dr. Miki Shima, a Japanese practitioner form northern California, who exposed me to the efficacy and subtlety of Japanese needling. This technique employs superficial insertion with very thin needles, insuring patient comfort. Dr. Shima explained that de qi in Chinese acupuncture means that the patient feels and reports localized pain and distension, due to strong twisting and thrusting. He went on to say that in Japanese acupuncture, the sensation of de qi belongs to the practitioner, who feels the arrival of qi in his or her fingers and hand. The patient should not feel any discomfort. Patients new to my clinic always remark that my acupuncture is painless, almost invisible, and that they all had negative experiences with Chinese style. But is it effective? In Japan, patients, who pay for acupuncture out of pocket, can come in no more than once a week. The Japanese have discovered that in using Meridian Therapy as the root, and combining with an effective branch therapy, treatments performed once weekly were as effective as the three times weekly in the Chinese clinics. What is Meridian Balancing? Why Is It So Effective? Meridian Therapy is a two-pronged approach, treating both root and branch. The root is the meridian balance, and the branch is the focused treatment for the main complaint. For the branch, we can choose from many disciplines: TCM point combinations, Japanese symptomatic treatment, ear acupuncture, Master Tung points, Korean hand acupuncture, etc. Why is root treatment so important? Basically, if the body is in balance, which is to say energetic equilibrium with good movement of qi and blood, it can maintain health or promote self-healing. The starting point is appreciating the importance of the “energy cycle”: knowing that energy circulates through the twelve primary channels in a specific sequence. If this energy circulates in an unobstructed way, in a continuous sequence without interruptions, without some channels becoming excess while others become deficient, then the body stays healthy. When the network is in balance, the qi is allowed to distribute equitably, radiating out from the channels to energize tissue along its path, and allowing sufficient qi to reach the organs. I explain it to patients this way: The energetic network is like a hologram. We want your energetic network to radiate like a soccer ball – energy in the shape of a sphere. When there are imbalances, your network is radiating like a football – torqued and out of equilibrium. If I can determine the exact pattern of imbalance at the moment, and correct that by adjusting the excess and deficiencies on the channels, then the holographic shape will return to that of a soccer ball instead of a football. Once a correct balance is made, the body tends to hold a balanced network, at least for a while. The patient noticeably feels better; they feel relaxed, they feel uplifted, they come back again, either weekly, or even once a month, to get their “balance”. Outside of meridian-sequence qi gong or meridian balance shiatsu massage, no other method can do this for a person. Diagnosis: Pulse or Acugraph? When I returned to Meridian Therapy, after an interlude with TCM, I saw that patients got better in half as many treatments. But this was not due to discarding TCM; it was due to adding in MT. That is to say, I used Meridian Therapy as our root treatment, and added in TCM, or other modalities, as the branch treatment. Currently, for example, I am using Ear Acupuncture as the branch treatment, which complements Meridian Therapy well. My article to this point has been why I prefer Meridian Therapy to TCM acupuncture. Now our question is how: how to accurately diagnose excesses and deficiencies on the channels. The classical Nan Jing approach of Meridian Therapy survives as Keiraku Chiryo, Japanese Meridian Therapy. This system was revitalized in the early 1930s in Japan, and continues to this day. In this system, meridian imbalances are determined by radial pulse, with the superficial aspects corresponding to yang channels, and the deeper pulse positions corresponding to yin channels. Relative excesses and weaknesses would be noted, and one of four patterns (sho) would be prioritized for treatment, based on the relative positions. Practitioners are advised to focus on the primary pattern, and not to chase every imbalance. After many years of studying and teaching this classical approach, I have abandoned it. First is due to my exposure to computerized meridian diagnosis, which gives diagnostic information that is more accurate and precise than pulse diagnosis. As importantly, computerized systems such as Acugraph include software to make the most use of that diagnostic information. The second reason, having to do with “do not chase every imbalance”, is wrong. It is important to make sure that significant excesses and deficiencies in every channel are taken care of. With O-ring muscle testing, I can choose points well, and I can confirm whether fixing every meridian is necessary or not. I say this because, if you prioritize which meridians to start with and put needles in place, secondary imbalances may not need treatment. Machine diagnosis is not new. It goes back to the late 1940s as Ryodoraku, developed by Dr. Yoshio Nakatani, where it was discovered that electronic measurements at the fingertips would produce different readings. The readings could compare energetic strengths of the various acupuncture channels, by which treatment could be determined. Computerized diagnosis went on to receive a lot of interest during the 1980s and 90s in China, Japan and Taiwan, and several devices were made available commercially. As computer technology developed, so did the meridian diagnostic machines. I purchased my first device in 2004, a machine from Taiwan, and was very impressed with the diagnostic level. The software was useful, graphically displaying the various excesses and deficiencies. As I used it, I found that it was much more detailed and precise than pulse diagnosis. Several years ago I was introduced to the Acugraph, and I switched over. Both devices gave good diagnostic readouts, based on multiple readings per minute for each diagnostic point/meridian. The Acugraph, however, has a more sophisticated software support for the diagnostic information, and, important for me, was Mac friendly. One can display the totality of the readings in various formats: arm-leg (“Baseline”), yin-yang, 5 element, the 12 meridian sequence (“Energy Cycle”), and the midnight-midday cycle (“Horary”). It also gives a “PIE” reading, a basic summation of the degree of imbalance taken in consideration with readings of energy level and energy stability. Most importantly, it makes point selection recommendations, either straight up (all channels), or in an advanced mode, which utilizes points that can treat two or more channels simultaneously. The software also offers terrific reference materials, including branch TCM treatments for common complaints, locations of all of the acupuncture points, and summation charts of TCM treatments. If you are reading this, I am sure you are already familiar with the various features of the Acugraph software. 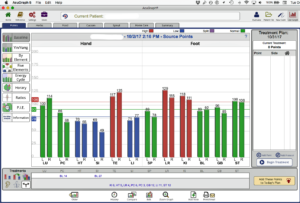 For me, computerized diagnosis is far superior to pulse diagnosis, showing all the variations of meridian imbalances as excess or deficiency. One can use the information as one wishes, whether it be using the software recommendations for detailed treatment, or even to focus on the primary patterns of Keiraku Chiryo. In Part 2 of “Why I Use the Acugraph”, I would like to detail how I take the Acugraph information and prioritize meridian and point selection, as well as how to take advantage of the various options the Acugraph software makes available. I will also write my own needle technique, O-ring muscle testing for point selection, and qi gong aspects for enhancing treatment. I have tremendous respect for the Acugraph as a diagnostic and therapeutic tool, and believe that it will facilitate and enhance your acupuncture treatments. The Acugraph truly allows more patients to benefit from the very real healing offered by Meridian Therapy acupuncture. Jake Paul Fratkin, OMD, L.Ac. trained in Korean and Japanese acupuncture since 1975, and Chinese herbal medicine since 1982, and has studied and taught qi gong and Yang family Taijiquan since 1974. He is the author of Chinese Herbal Patent Medicines, The Clinical Desk Reference and the editor-organizer of Wu and Fischer’s Practical Therapeutics of Traditional Chinese Medicine. He is currently completing TCM Case Studies in Autoimmune Disease with Dr. Zeng Sheng-ping for People’s Medical Publishing House, Beijing. He is the recipient of Acupuncturist of the Year, 1999, by the AAAOM and Teacher of the Year, 2006, American Association of Teachers of Acupuncture and Oriental Medicine (AATAOM). Dr. Fratkin lives and practices in Boulder, Colorado. Historically, herbal medicine and acupuncture have followed two separate lineages in East Asia, each with their own medical classics. Traditionally, acupuncture followed the example of the Nan Jing in detailing meridians, points, and their relationships, without any context of zang-fu differentiation. Both herbal and acupuncture traditions have their origins in the “Yellow Emperor’s Inner Classic” (Huáng Dì Nèi Jīng, 黄帝内, 100 CE). Herbal medicine’s written tradition began with the Shāng Hán Lùn (伤寒论, “Injury (by) Cold, Discussion”, 220 CE) and proceeded for many centuries to include 600 major textbooks. Herbal medicine developed the zànɡ fǔ (脏腑) system as well as the Eight Category Pattern Differentiation (bā ɡānɡ biàn zhènɡ, 八纲辨证), which is well known today. On the other hand, acupuncture is most dependent on the Nán Jīng (难经, “Difficulties Classic”, circa 200 CE), whose organizing philosophy details the function of acupuncture points and the relationships of the primary network of the 12 meridians, and the 8 extraordinary channels.